On our trip to Pax Prime, we had the chance to take this urban warrior’s utility pack through its paces. 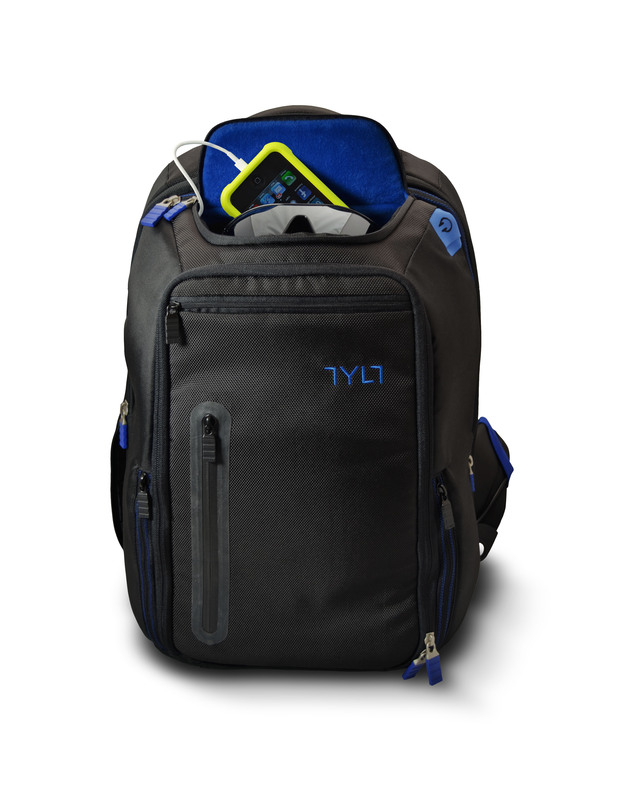 The TYLT Energi backpack is not just a bag that has specific compartments for any device or accessory you could imagine. It gets it’s name of Energi for its ability to charge up to three devices simultaneously and neatly through a well-planned cable management system. And just in case you need your NFC-capable phone to do perform a task or two at a tap, you have an very accessible NFC tag built into the bag. Let’s dive deeper into one of TYLT‘s latest gadgets, and hopefully not get lost inside. Admittedly I am already sold in the looks department since I go for almost anything that is blue or black & blue. Each compartment unveils soft blue cushioning that allows for any device or item to slip in and out with ease. 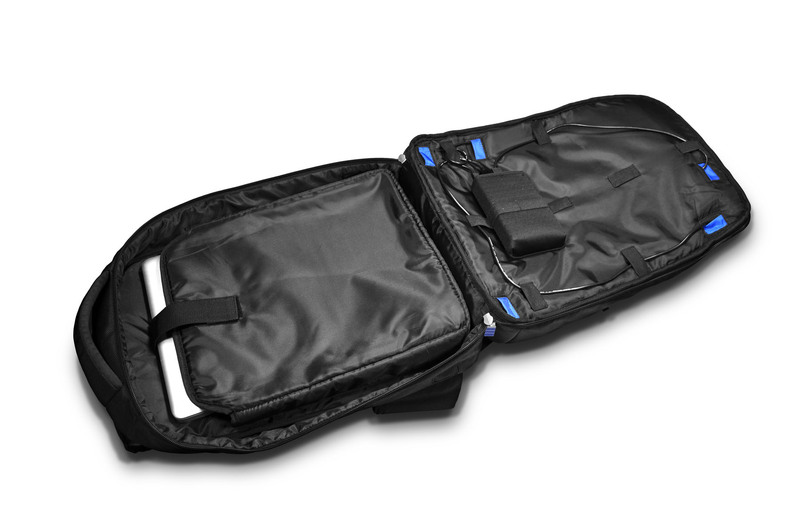 The plethora of compartments and pockets are overwhelming yet practical. You have a “Protect Pocket” for your shades and cellphone. Obligatory tablet and laptop (15 inch) compartments are present as are two side pockets, a hydration pocket that houses a netted holster for your drinks, and a deceptively large “main compartment”. 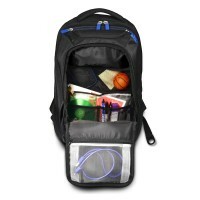 The main compartment itself houses four zipped pockets in its main flap as well as an accessory bag, should you need it. 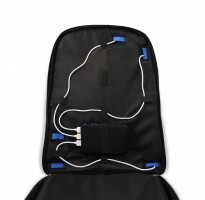 Just in case you did not have cables to begin with, the bag comes with 2 micro-USB charging cables and 1 micro-USB/Charge-and-Sync Combo cable for Apple 30-pin devices. 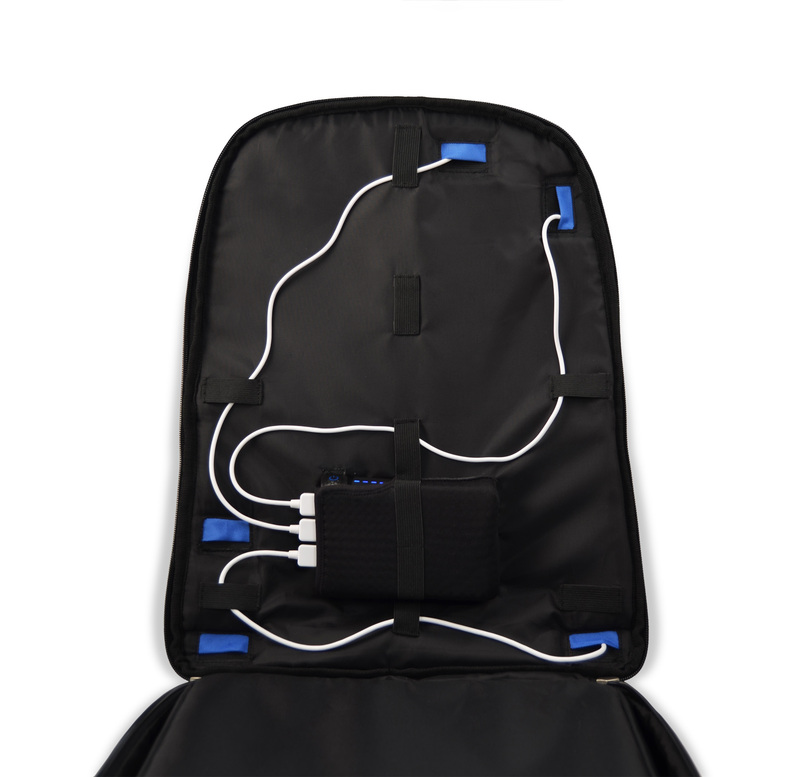 Being a respectable charging backpack means you need a well-thought-out cable management system. The battery is housed is the same compartment as the laptop sleeve, so the majority of the pass-through’s for the cables resides there. From that compartment, you can run cables to the “Protect Pocket” for your cellphone, the tablet compartment and the main compartment. You also have external access points to run your headphone line into the Protect Pocket and to run a cable straight into the battery area – for charging the bag’s battery without having to take it out of the bag. For the most part, the cable management is quite intuitive, leaving the creativity to the owner. 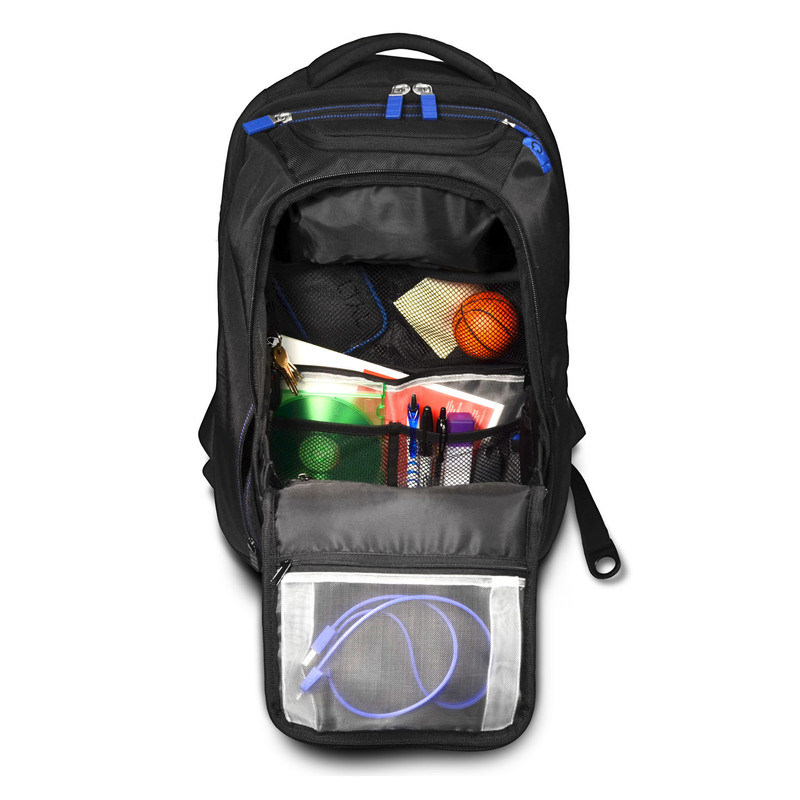 When you have the bag fully wired, so-to-speak, you can open the battery/laptop compartment with ease and without worry that you’ll tug any of the lines. If I had to indentify a snag (a literal one), the only one worth mentioning was the cable-run to the Protect Pocket. For a charging cable to access the Protect Pocket, it has to pass through the “main compartment” of which there are no cable management loops – allowing for some snagging, depending on what you put in there, of course. If the build and layout weren’t already features, the left bag strap houses a programmable NFC tag. To begin, you just have to tap the TYLT logo with your NFC-ready device and you will be brought to a page to download and install the appropriate software. With the software, you can set a multitude of tasks to trigger whenever you tap the bag’s tag. To test, I was able to program the tag (with quite simple steps) to trigger my phone to draft a specific text to a specific person. That’s great for those of you that constantly send “running late” texts. The programming style follows a hierarchy of header task types, that drill down where appropriate and lead you gently into succeeding steps. You can also set multiple actions to trigger for each single tap, so you are not just tied down to one action. Last but not least, we must mention the Energi battery! 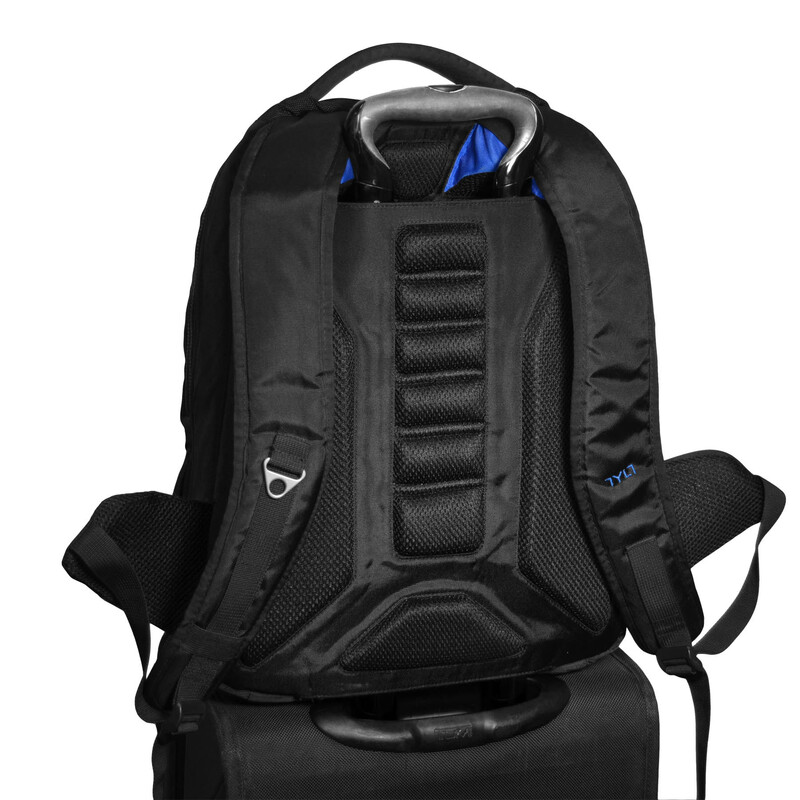 This charging backpack is powered by a rechargeable 10,400 mAh lithium-ion battery. 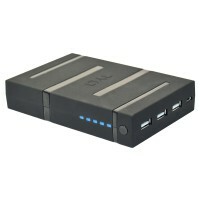 The battery charges via micro USB and is capable of an output charging current of 4.75V – 5.25V – 1Amp. I found the charge time for the battery to last for a little over half a day, although I’m not entirely convinced that the outlet we used was pumping out the proper amount of voltage. I will say that the battery was able to simultaneously charge a HTC EVO 4G LTE phone (2,000 mAh battery) to 100% and a Samsung Note 10.1 tablet (7,000 mAh battery) to 77%. Both devices were left to drain fully before set to charge, and charged to the aforementioned points overnight before the Energi battery was fully drained. Respectable results indeed. Considering all of the items and gadgets you’d put in a bag capable of all this, it was refreshingly comfortable regardless of the weight of the bag. 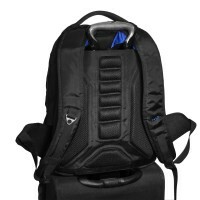 While I am personally used to carrying backpacks of considerable weight daily, I am sure the comfort here was due to the cushioning towards the top of the shoulder straps. They dissuaded any possibility of shoulder pinching or left-over marks that would occur otherwise. I personally enjoyed my time with the backpack aside from the small aforementioned “snag”, which one can start to overlook over a short time. A lot of consideration was put into this product and it clearly shows. If you like what you have seen so far, you can have this nice piece and all of the features and pockets they stuffed in it for $199. Still need to learn or see more? Feel free to visit the product’s page directly here!